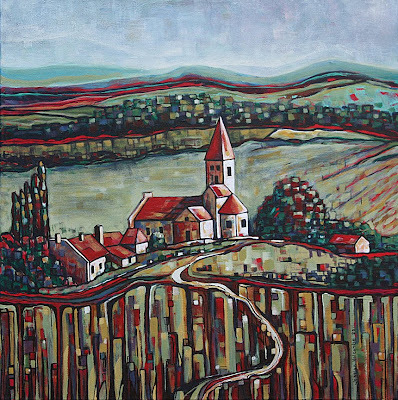 Church in Countryside of Southern France, Acrylic and Ink on Canvas, 24" X 24"
Vintage Rose, acrylic and ink on canvas, 16 X 20. 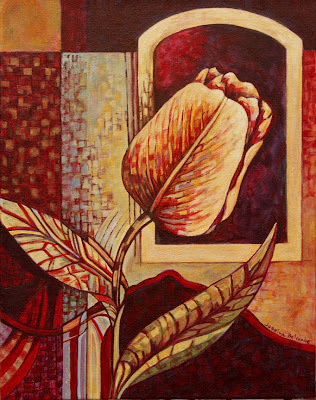 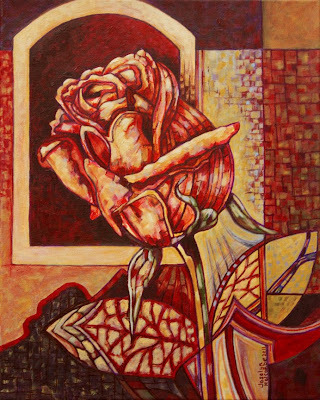 Vintage Tulip, acrylic and ink on canvas, 16 X 20. 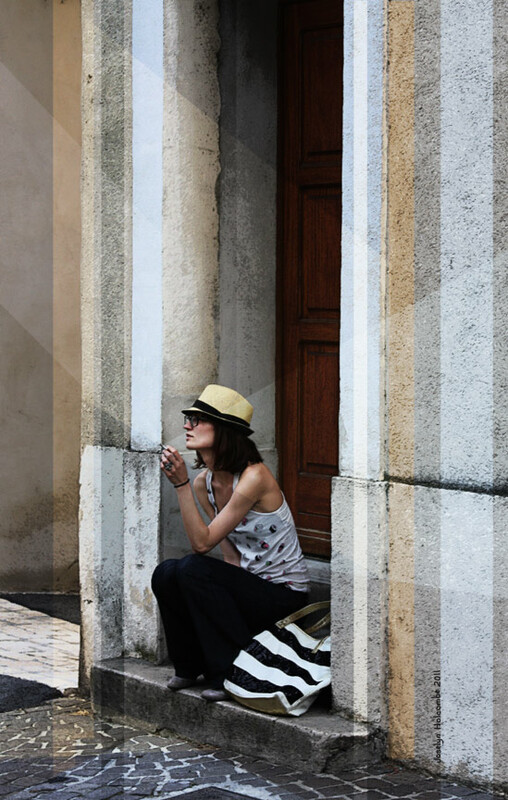 Girl in Southern France wearing a fedora hat.